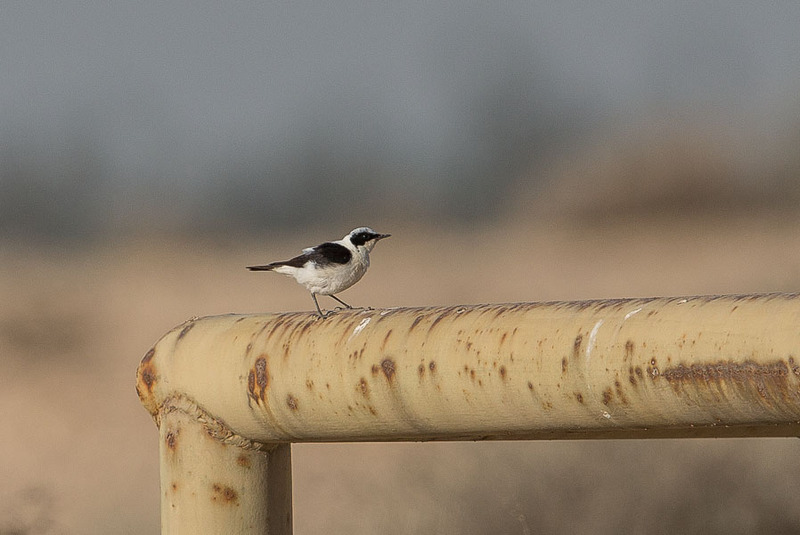 There have been plenty of migrants through the camp in the last few days with my first Eastern Black-eared Wheatear for the ‘patch’ being a nice adult male bird. 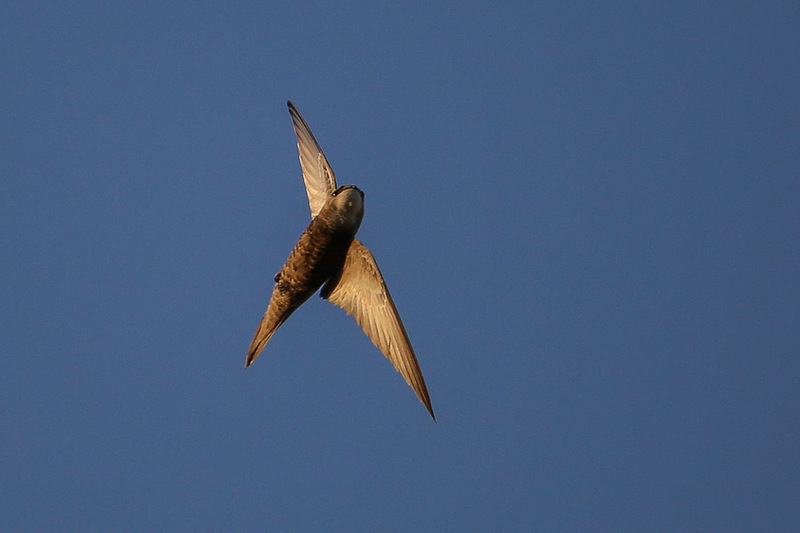 This was in close proximity to a Pied Wheatear giving a nice comparison. 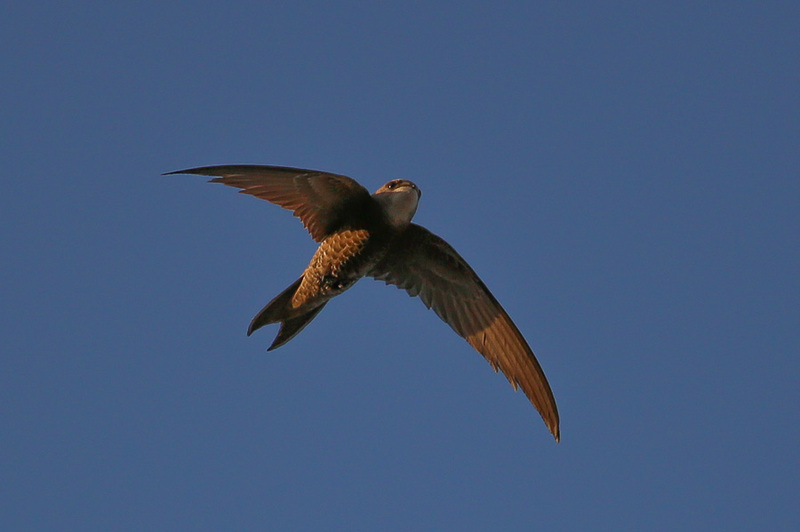 A mixed group of Pallid and Common Swifts were in the air together and six Barn Swallows were roosting in the red beds of the percolation pond. Two Squacco Herrons were on the pond sitting on one of the floating platforms that were the first ones I have seen this year. The female Western Marsh Harrier was still hunting over the reed beds and I saw it catch a frog which was a interesting sight. 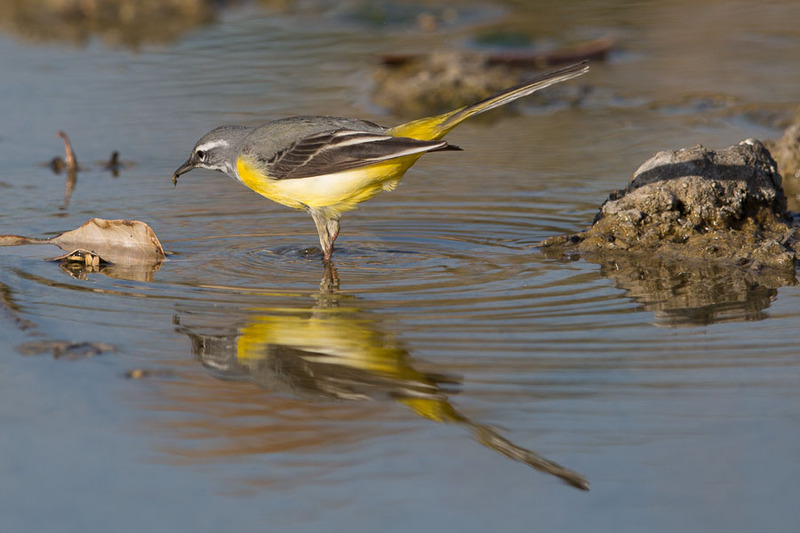 The wet ditch had two Grey Wagtails and a Green Sandpiper and the trees around the pond had a Humes Whitethroat and a Common Redstart that was also new for the year. 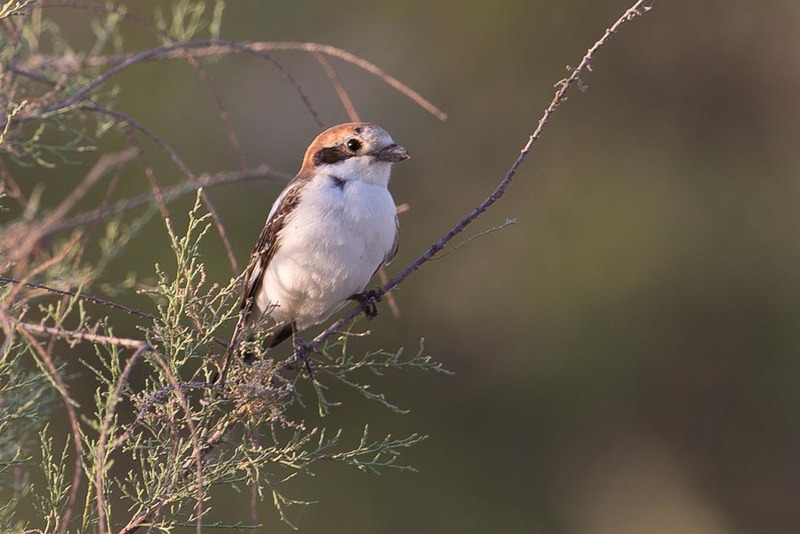 A Woodchat Shrike was near the pond and two Eurasian Sparrowhawks were also in the same area. Phil has seen both Meneteries’s Warbler and Upcher’s Warbler in the last few days on the ‘patch’.